Knox Centre Uniforms | Knox Little Athletics Centre Inc.
Centre uniform (singlet, crop or t-shirt with black shorts or leggings) must be worn when representing the centre at other Centres, Open Days, Regional and State Championship events. 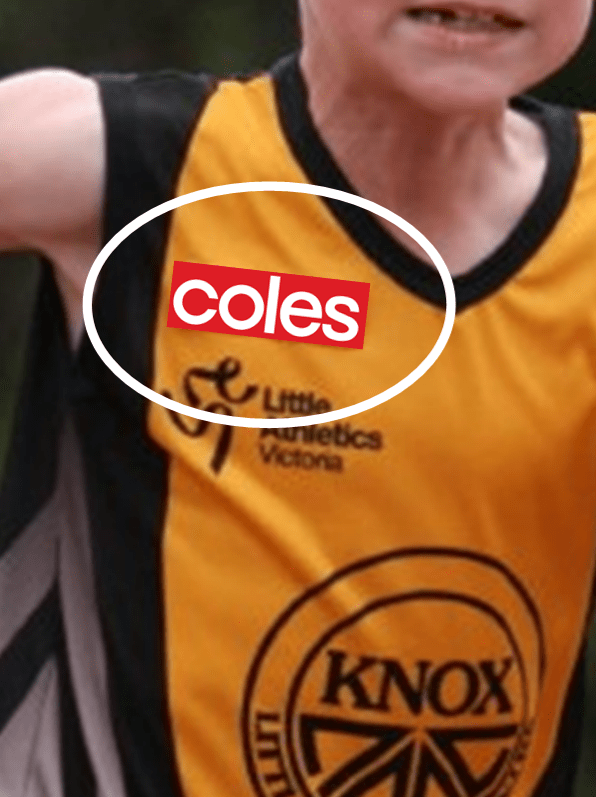 The COLES sponsor patch must also be sewn (not pinned) on the uniform. Athletes are also required to wear their SUBWAY registration bib at EVERY competition, including normal Centre meets. Uniform shop: order and pay for your uniform ONLINE. Cash sales are not available.